With more than 15 years’ experience as an Indian Wedding DJ, DJ Dal points out that we are becoming more accepting of interracial relationships than ever before. Consequently, fusion weddings which combine two cultures are now more common. Why? Today, we have less of a divide between guys and girls, both encouraged to take up further opportunities than the generation before us. It is not unusual for sons and daughters to be encouraged to live away from home to study, or travel for work, further exposing them to the diverse nation that we live amongst. This can empower us to follow our heart and not necessarily our traditions, with an interest in finding love before marriage over it being arranged. you need to plan ahead, like lots more ahead then normal, it’s like planning two weddings so you need to make sure you give it the time that is needed.1” And this is just the beginning. The rise in multi-cultural matrimony has brought upon the need to be even more accepting of different cultures, needing us to adapt the way things ‘used to be done.’ As well as the joining of two souls, fusion weddings also symbolise the coming together of two completely different cultures, and thus bring many hurdles. For example, not all venues accommodate for different traditions; there are many Gudwaras which do not approve of out of faith marriage, and some venues which may not be able to cater for the Saath Phere which marks Hindu marriage around a holy fire. Therefore, interracial couples have since been known to consider destination weddings. This move can take a fusion wedding to a truly magical place. You’ll often find that those who invest into being a part of a wedding away from home, are those that fully support and care for your matrimony. 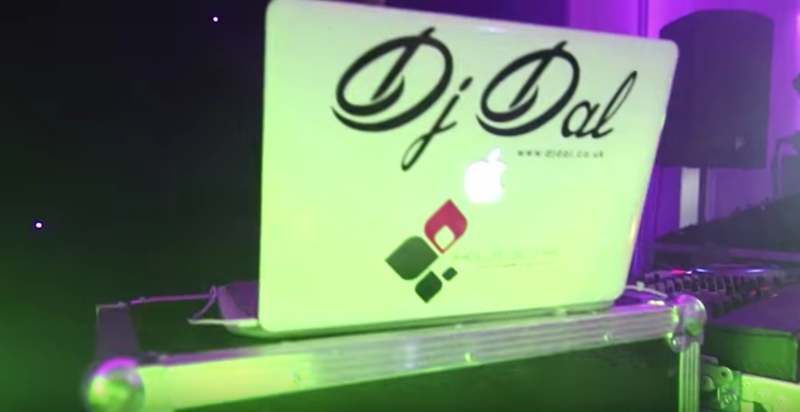 DJ Dal understands that there can be a lot of pressure organising a wedding which reflects two cultures, and making sure all your guests are comfortable, especially if it’s in a different country. So what better way to do that than entertaining them? Whether you prefer a desi groove or a mix between English and Bhangra music, you can choose what you both enjoy. And, getting both families on the dancefloor together; both dancing, laughing and having fun, really sets the scene for a perfect end to your beautiful day. Bhangra Wedding DJ, DJ Dal says “I’ve performed as a Wedding DJ at many spectacular weddings witnessing two souls become one on beaches, in private hotels, and all sorts of other venues.” His experience in international weddings has taken him to some sensational locations including the Caribbean, Mexico, Greece, and more. If you’re looking for a Fusion Wedding DJ to bring Bhangra or Bollywood music along at an Indian & English wedding, DJ Dal has the entertainment covered! “No wedding is complete without music, and I can play the best Bhangra, Bollywood, or even English tracks to really get your guests going.” Get in touch to book your DJ today, and get your guests jumping from their seats to join you celebrating in style.